Back in May, Cory, Cannon and I packed up and headed North to Fort Collins. 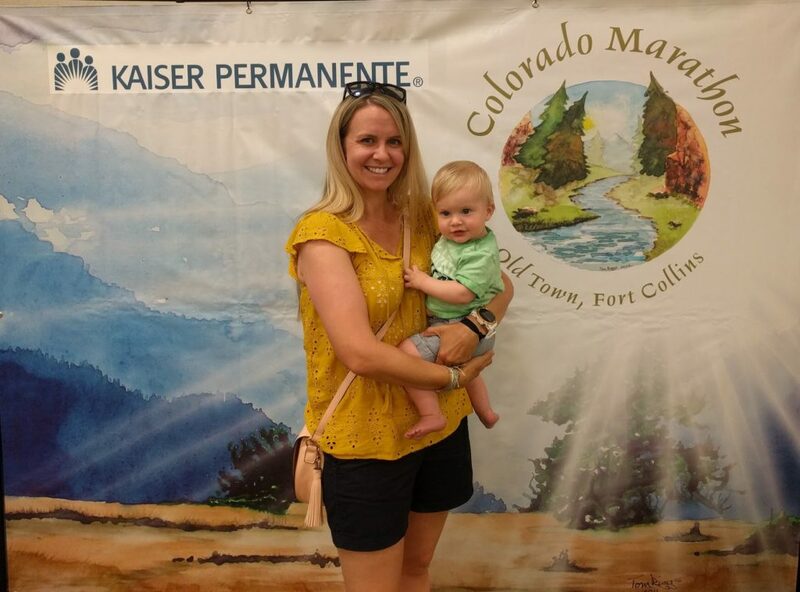 I signed up for the Colorado Marathon as a catered training day in preparation for Leadville Silver Rush. 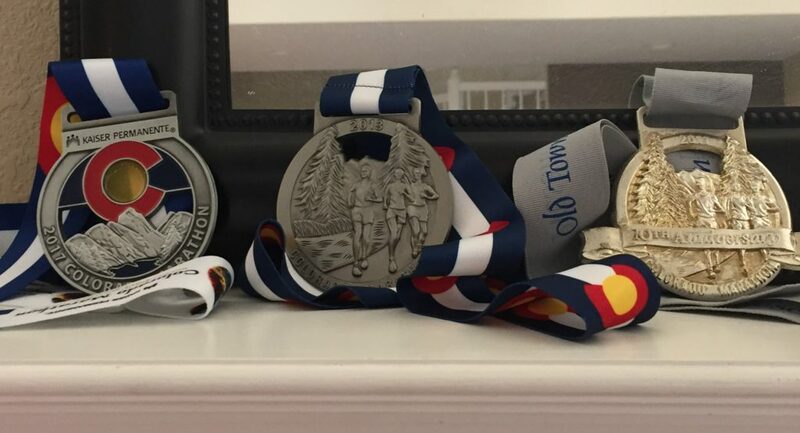 I have completed this marathon twice before in 2011 (my first marathon!) and 2013 and love it. It was a little sad heading out to the buses without Cory as we ran this race together in 2011 and 2013. But I was excited to get to see him and Cannon around mile 20. 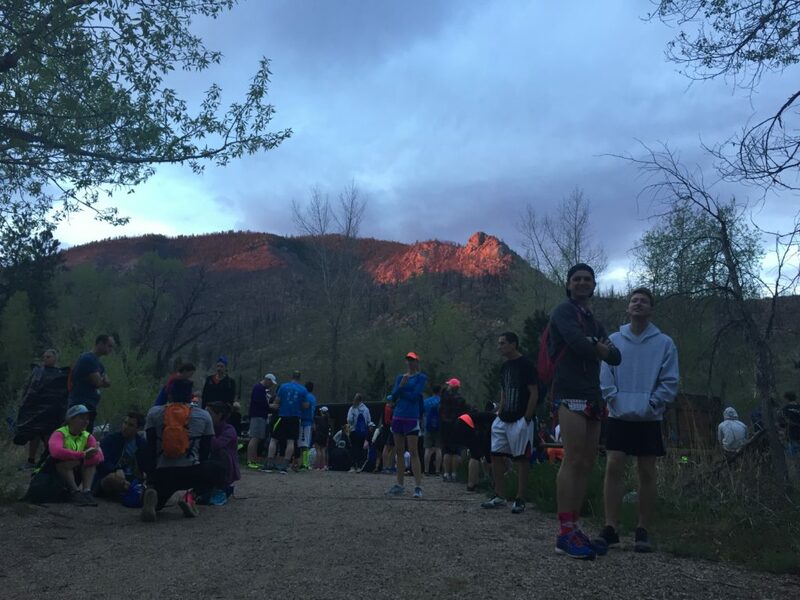 For the Colorado Marathon you are required to pick up your race packet on Friday or Saturday before the race on Sunday. Fort Collins is about an hour north of where we live so it wouldn’t be too terrible to dive up and back twice but my brother lives in Fort Collins so it was fun to just crash with him overnight. Packet pick up was smooth and easy this year. There is a very small expo where you could pick up anything you might need for race day. Easy in and out without much excitement. 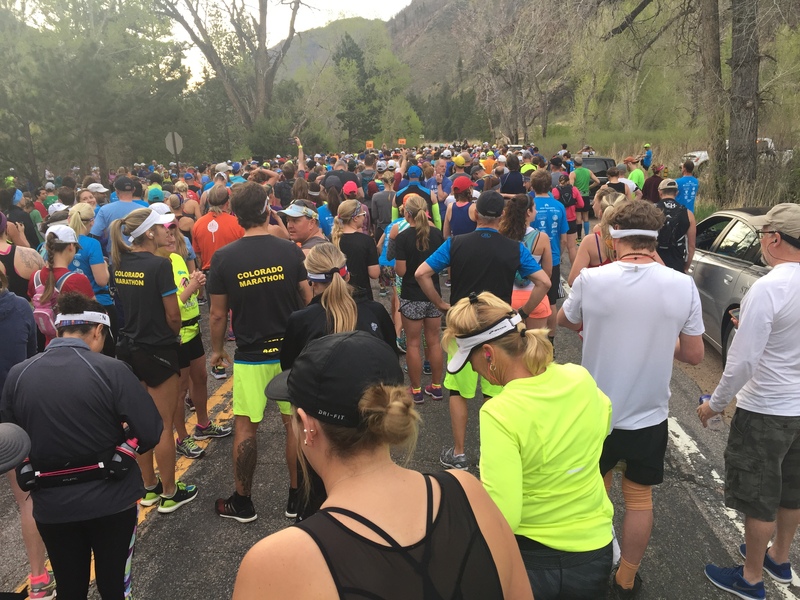 The Colorado Marathon in a point to point race so they load all the runners up on nice tour buses and drive you up the Poudre Canyon. I was lucky enough to sit by a really fun family of a father and his daughters who were running the race together. It was nice to chat with them and tell them a bit about the race. This year the weather was much warmer than it has been in past years so I was way overdressed for the morning wait for the race start. The race organizers provide a bag drop so you can send all your morning things down to the finish. I got to the start area about an hour before the start time so I took my time milling around and waiting in line for the bathrooms. Soon enough we lined up for the start, ready to get the party started. 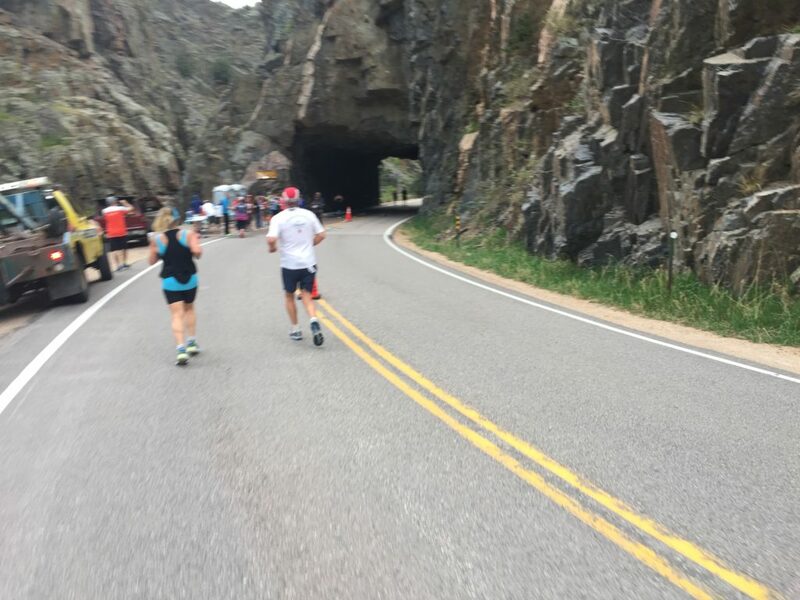 The first 10 miles are my favorite part of the race, you run down the canyon, right next to the river through the pine trees, it feels amazing. In years past the early miles have just clicked by without any effort. This year after just a couple miles I already felt a little tired. I could really feel the lack of taper but I was having fun regardless, I just kept reminding myself that it was a training run and just to take it easy. Since I wasn’t racing I decided to wear my hydration pack as that is what I will be using for my summer races. We passed the half-way mark and made our way out of the canyon and started making our way towards town. My brother and parents were waiting for me at about mile 18, it was such a great lift to see them. Cory and Cannon were waiting for me a little further along, it was the best thing to see my little guy. The last few miles meander into town on a bike path, it’s still nice but as usual the last 6 miles of a marathon feel long. The last mile seemed to go on FOREVER, and according to my watch the course was half a mile long, guess I need to work on running the tangents LOL. 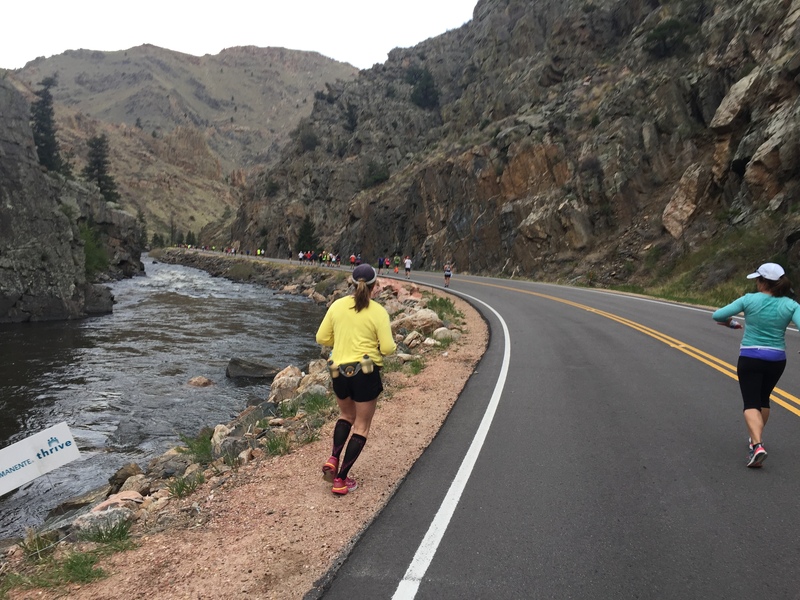 I was happy to cross the finish line and make some deposits in the training bank for the Leadville Silver Rush 50. After finishing we all headed to The Rio for Mexican food and margaritas. 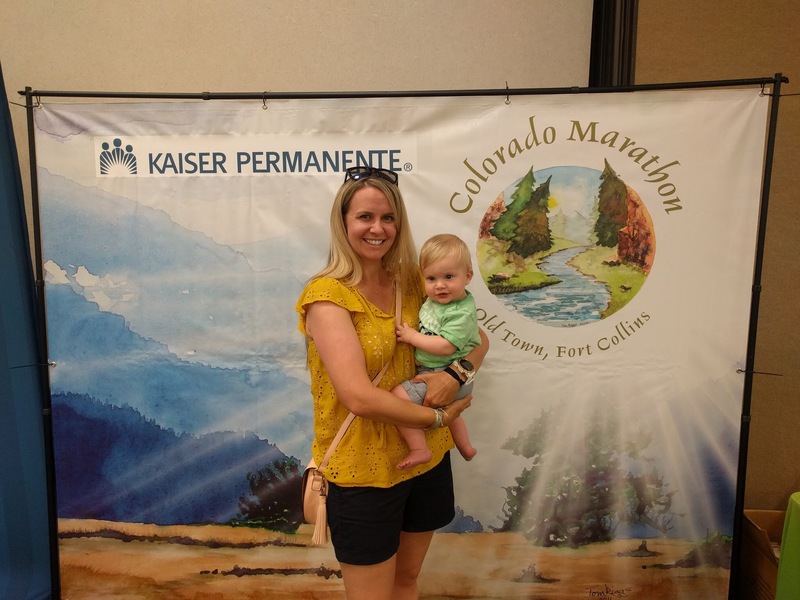 Last year we all came out to cheer my mom on when she ran the Colorado Marathon, it’s become a tradition that we head to The Rio, I was almost 9 months pregnant last year so there was no margarita for me. 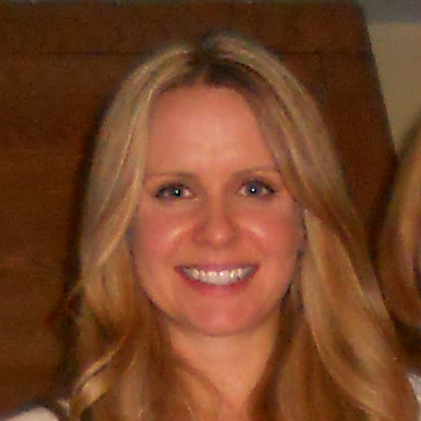 This year I so enjoyed having my margarita and celebrating with my family. 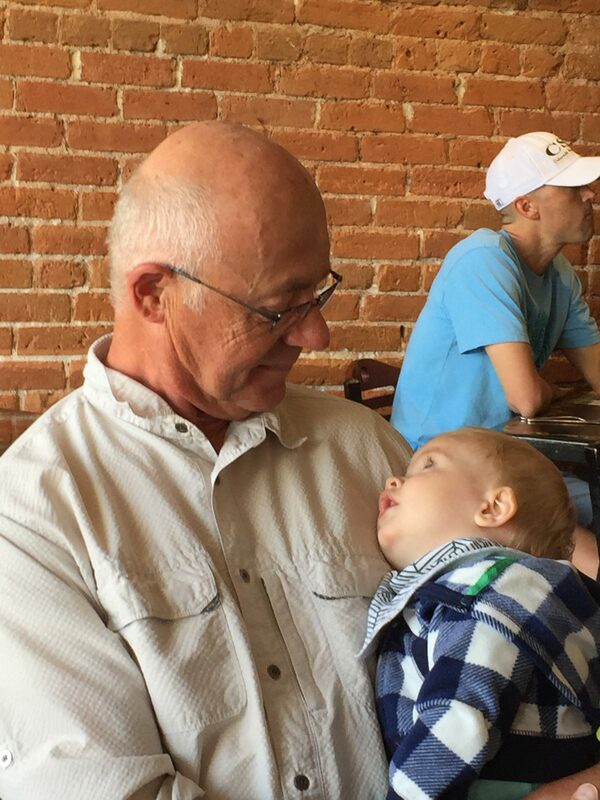 Cannon was a champ, but really tied after his morning of cheering, he cuddled with his Grandpa during lunch. And with that, marathon #6 in the books, I love this race, I hope to run it many more times in the future. 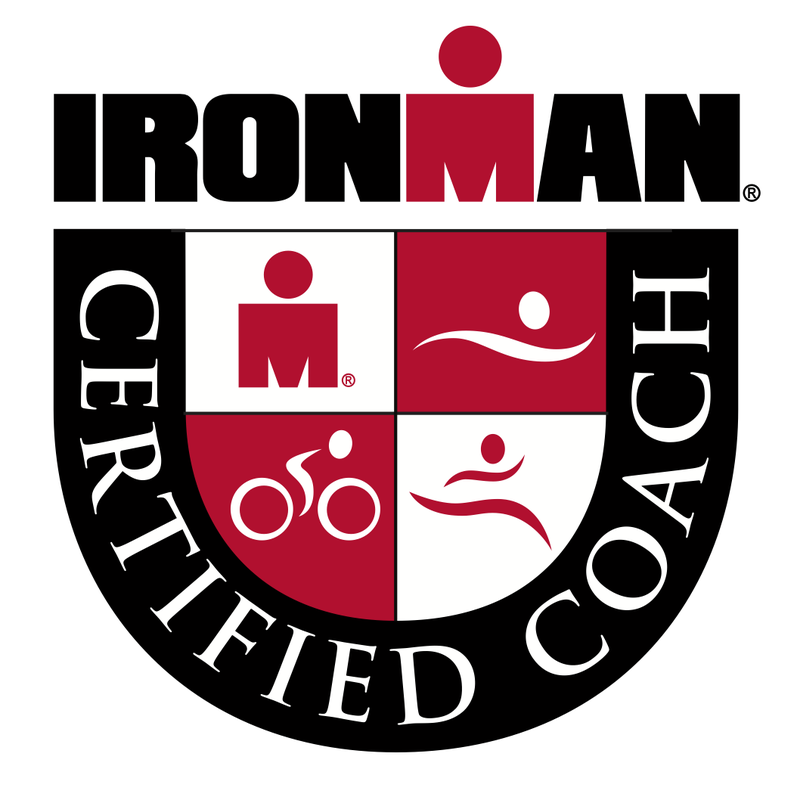 Maybe even with my kids one day just like the Dad I met on the bus on the way to the start….life goals.